The Medicine Wheel is the Sacred Circle of Life, a cosmology followed by native tribes around the globe. It represents totality; the beginning and the end, the cycles of the universe, of life, of the seasons, of the day, of bringing an idea to fruition. It is the elements that make up all of life. In Interior Alignment®, the Medicine Wheel is based on the Four Directions – East, South, West and North, aligning with the Four Elements – Air, Water, Fire and Earth respectively. 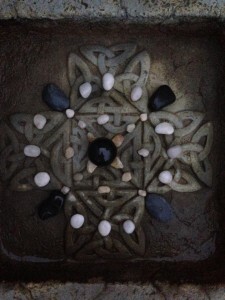 The balancing of these energies in a home allows Medicine Wheel Feng Shui™ practitioners to create powerful, positive changes within their client’s homes and lives. The Medicine Wheel, like the Feng Shui Bagua, represents a way to view the influences of energy in a home. Both speak of the unity of all things. Both eloquently present a model of living in harmony with nature. While there are differences in their origins and how these tools are applied, they are each used to balance the energies within a space. Instead of reviewing specific areas of one’s life, like career, relationships, abundance or family as is done with the Bagua, the Medicine Wheel is used to align closely to who you are at a soul level, using the natural cycles of life and the elements, opening ourselves to the benefits of working within each. Bringing the element of Air into your home can help you find greater mental focus and generate new ideas. Allowing more of the element of Water in your home supports increased intuition and opportunities for growth. Enhancing your home with the element of Fire can bring to fruition your hopes and dreams and a sense of renewal and transformation. Honoring the element of Earth offers balance through a deeper understanding of the lessons we’ve learned, allowing for closure in our lives. 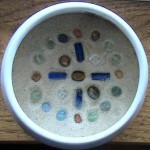 In Interior Alignment®, Medicine Wheel Feng Shui is a completely unique and one-of-a-kind type of Feng Shui. It is based on the Four Directions – East, South, West and North, aligning with the Four Elements – Air, Water, Fire and Earth respectively. 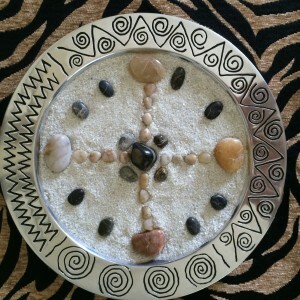 Medicine Wheel Feng Shui is a way to harness these natural forces and signifies the meeting place between heaven and earth. When working with a Medicine Wheel Feng Shui™ practitioner, you’ll receive recommendations for bringing each of these elements/energies into your home, and learn how they can help you to make profound, positive changes in your life.